11/16/17 Suspension and Steering Kia motors america (kia) is recalling certain 2014-2016 soul and soul ev vehicles. the pinion plug may allow the pinion gear to separate from the steering gear assembly. 03/24/15 Electrical and Air Conditioning Kia motors america (kia) is recalling certain model year 2014-2015 soul and soul electric vehicles manufactured july 21, 2013, to january 8, 2015. a section of the accelerator pedal may bend and fracture. 09/13/10 Electrical and Air Conditioning Kia is recalling certain model year 2010 soul and model year 2011 sorento vehicles manufactured from september 7, 2009 through july 30, 2010. a limited number of wiring harnesses supplied by jci and used for the lighting in the kia soul vehicle's advanced lighting speakers, located in the front door trim panels, and the kia sorento vehicle's interior accent illumination, located in the front and rear door trim panels, may have been improperly soldered. Dealers will replace the wiring harnesses for the lights in the kia soul vehicle's advanced lighting speakers, and the wiring harness for the kia sorento vehicle's interior accent illumination. this service will be performed free of charge. 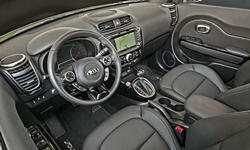 the safety recall began on september 13, 2010. owners may contact kia consumer assistance center at 1-800-333-4542. Kia's safety recall campaign number is sc083.owners may also contact the national highway traffic safety administration's vehicle safety hotline at 1-888-327-4236 (tty 1-800-424-9153), or go to http://www.safercar.gov . 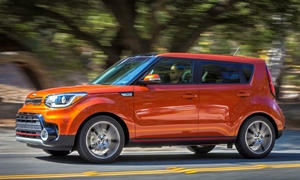 01/29/15 Other Kia motors america (kia) is recalling certain model year 2010-2013 kia soul vehicles manufactured january 8, 2009, to october 2, 2013, equipped with a sun roof. a headliner plate may detach during deployment of the curtain air bag.